We chose this pager for its durability and excellent reception at the track. Easy to read and use. Each Pager is programmed to match your weatherstation. Features include a backlight, holster with protective LCD cover, message storage and message locking features. 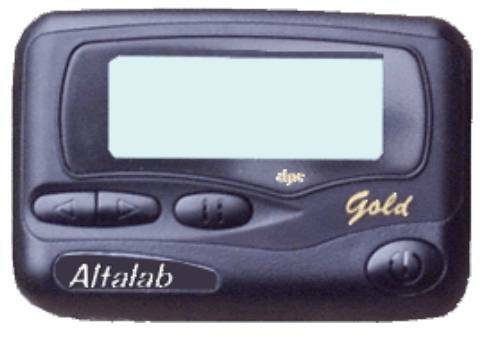 One pager comes standard with AltaCom II, keep the extra as a spare, to run two cars, or to loan to a friend. Enter your serial number so we can match your pager, or call after you receive the pager and we can program it over the phone.